The court-ordered requirement to undergo counseling is just one of the ways in which domestic violence cases are different from other types of crimes. There are no systematized or mandated educational courses for people convicted of theft or fraud or even assault. But when someone is convicted of domestic violence in Florida, it’s probable they will be required to undergo a “batterers’ intervention” course. 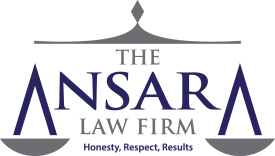 At The Ansara Law Firm, our domestic violence defense attorneys in Fort Lauderdale recognize this is not merely a minor requirement. This is an expensive, extensive course that one has to faithfully attend – and pay for – or else face serious repercussions. Although learning new coping skills isn’t necessarily a bad thing, this is a significant life commitment for a full six to eight months. And yet, the state is unlikely to remove this provision. More than 90 percent of Floridians believe it should be mandatory for all individuals facing domestic violence charges to attend batterers’ intervention programs. In Florida, the batterers’ intervention program is a six- to-eight-month program that is intensive and monitored by the Florida Department of Children and Families (DCF). Requirement for it is codified in F.S. 741.32. The aim is to address core causes of domestic violence, so as to prevent future acts. There is typically an initial assessment, an orientation and then 26 weeks of counseling, usually in a group-type setting. Initial assessment is described as a “psychosocial evaluation.” The goal here is to determine whether the individual needs substance abuse treatment or mental health treatment before entering batterers’ intervention. The idea is unless those issues are addressed first, batterers’ intervention won’t improve the situation. In some cases, program administrators will allow other treatments to run concurrently with their own. Once this stage is complete, the individual has to sign a contract. Within this contract is the admission of responsibility for his or her prior actions, as well as the promise to adhere to a stringent set of rules. These may include employment requirements, adherence to no contact orders and more. Group sessions, once they begin, typically last about 1.5 hours each. These programs are expensive – and it’s the offender who is responsible for footing the bill. Typically, there is an upfront fee for enrollment. Then, there is a $30 participation fee for every weekly session. Once a person factors in transportation costs and other fees, these programs can run between $700 and $1,000. This is in addition to whatever fines, restitution and court costs offender may have already been ordered to pay in the case. There are a number of different agencies that offer batterers’ intervention counseling, but the standard curriculum for the state-authorized program is founded on the so-called intervention model. This approaches the issue from the standpoint that domestic violence is the result of a single person repeatedly using emotional or physical abuse in order to wield control or power over another person. Outlining the effect of substance abuse on domestic violence. If a defendant doesn’t show up for all the required courses, he or she may be terminated from the program. Depending on the circumstances, this could be considered a violation of probation. The consequences for this are almost never taken lightly, especially in domestic violence cases. Violation could result in a warrant for offender’s arrest, followed by significant jail time. Sometimes there are extenuating circumstances why classes can’t be attended, but these should be negotiated through your attorney. At the very least, contact a lawyer if you’ve already missed courses and are facing additional legal trouble as a result.